If you've ever been to a Blue Jackets game, you probably got startled by the cannon that goes off in the arena. It's something you just can't get used to because you never know when it's going to go off. Tuesday night, the Flames were in Columbus to face the Blue Jackets and before the game, Johnny Gaudreau got scared by the cannon when it went off. It happens to the best of us, even if you go in knowing the cannon can go off at any point. 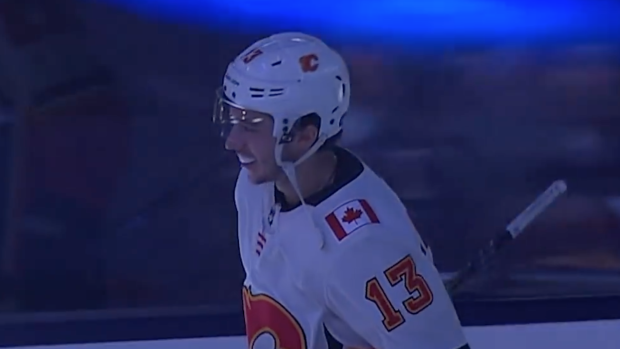 We're sure Gaudreau was used to the sound by the end of the game as the Blue Jackets scored 6 goals, but the Flames had the last laugh by scoring 9.